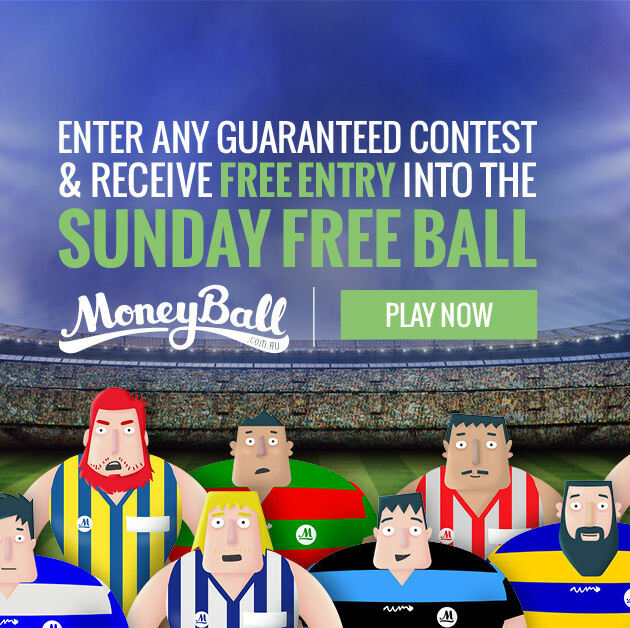 Enter any guaranteed Moneyball contest this weekend and receive free entry into the Sunday Free Ball. Click here to enter now. This week for round 18 the Sunday Free ball contest is back with $250 Guaranteed up for grabs and only top three are paid out which means there is some pretty solid prizes to be won. To gain access to the AFL Sunday Free Ball members will need to enter any of the Guaranteed AFL contests. For every entry they put into a Guaranteed contest they will receive a FREE entry into the free ball. The button will be grey’d out and un-clickable unless they do this. This means once a Guaranteed contest has been entered this button will turn green and open up. Guaranteed contests this week are similar to last weekend, really appreciate the promotion you did mate, was awesome!